When switching ON the game, sometimes it had very fast tempo music. It happened 1 one out of 10 but it was very annoying. So I used my frequency counter when it happened and I noticed that the 3.58mhz quartz ran at about 10.58mhz! I changed it with a know good one but again it happened very often. 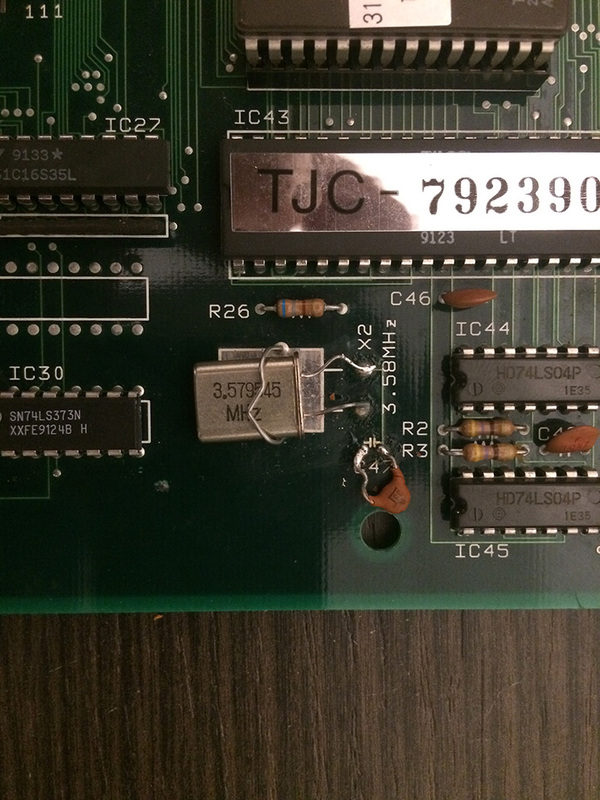 I was sure it was something connected to the quartz oscillator circuit and given that the resistances are difficult to be faulty I decided to change the cap C47 (33pF) with known good one.